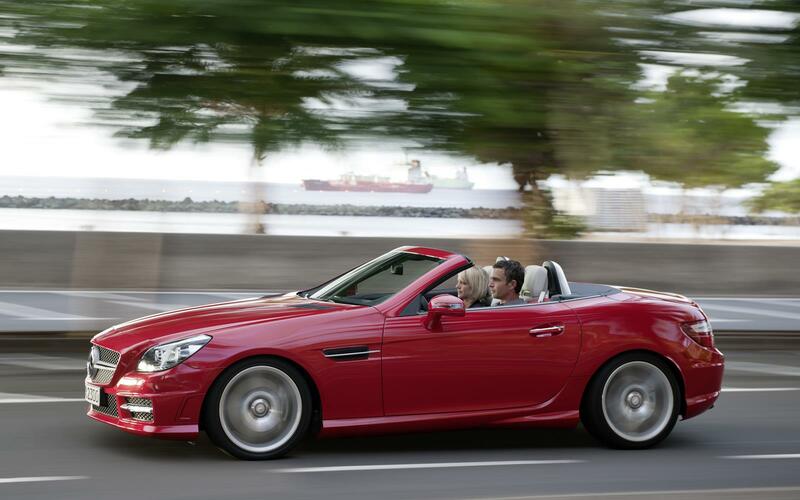 Sticking to a simple formula that’s worked remarkably well, the SLK is a stylish sports car that’s easy to live with and feels special from the inside. 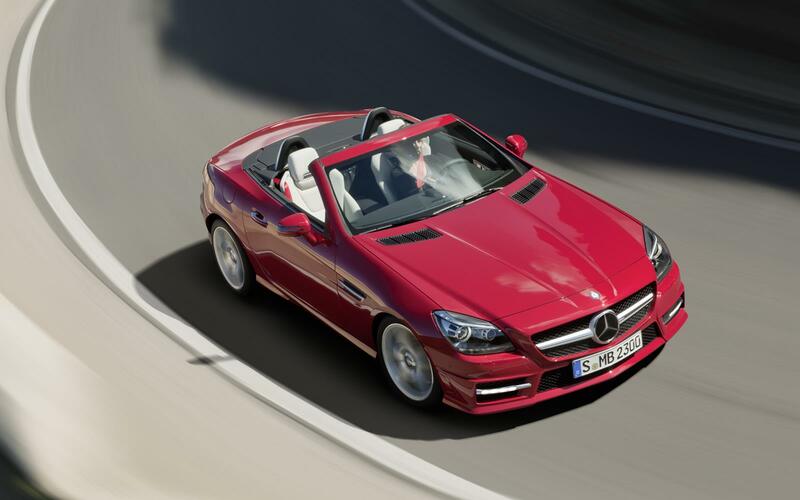 The current SLK continues that form, but only for a short while – a facelift and new name is imminent. However, with plenty of SLKs in stock around the country, and significant discounts available, should you take a look at the outgoing model? Step inside and you’re cosseted within a rather snug cabin, with brushed aluminium or leather covering every surface. In all-black trim it’s possibly a tad claustrophobic, but opt for the ‘vario-roof’ and that metal roof is replaced by a glorious glass panel that lights up the interior. The seats hug all the right bits, even if you’re a rather more substantial driver than Lewis Hamilton, although there isn’t much in the way of elbow room on the edge of the car. Everywhere else provides plenty of space, with plenty of headroom too, so getting comfortable shouldn’t be a problem. Even the boot is of a decent size, although don’t expect to be packing a couple of suitcases in there for a fortnight away. Fold the roof down and you lose about a third of what’s there, but a clever panel protects your delicates from being crushed. That roof is worth a mention too. Folding completely out of sight to leave a clear, uncluttered line, it’s all-metal construction means you get a real sense of solidity once it’s back in place – you’d be hard pushed to tell it’s a convertible at all, but hold down a button beside the handbrake and the roof lifts, folds and hides away in around 20 seconds. It also goes up that quickly too, something that’s quite handy given the weather I’m facing. A howling gale, horizontal rain and temperatures that seemingly refuse to rise above zero means that I’ll be conducting a thorough test of its weatherproofing. It also gives me time to look out of the windscreen and over that long bonnet, the very front almost disappearing over the horizon. 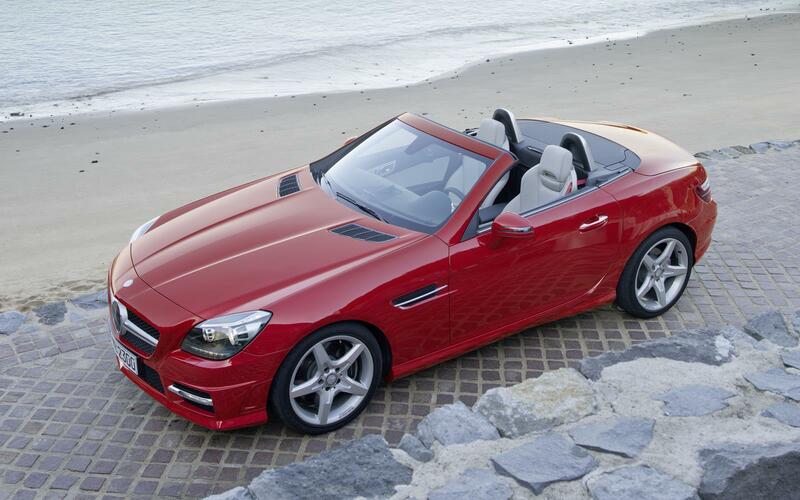 The promise is something spectacular, but alas this specific model isn’t the ultimate version of the SLK. 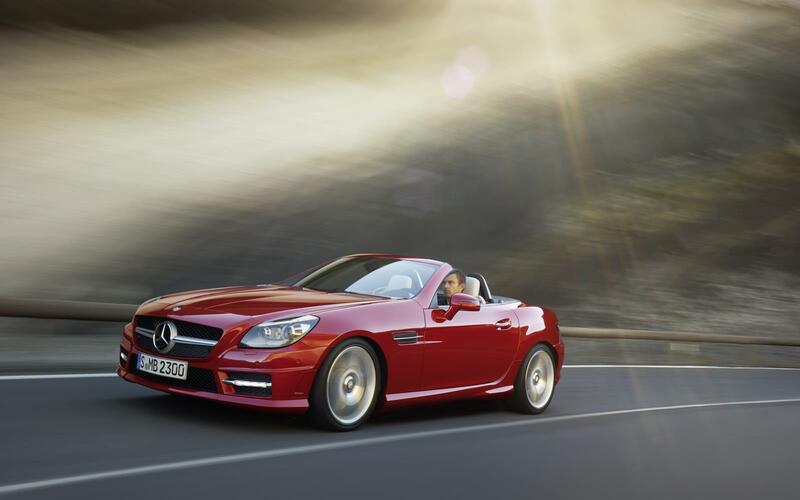 That honour goes to the SLK 55 AMG, an old-school sports car that mates a small body to a huge engine (a 5.5-litre V8 producing 415bhp, as you ask) and a £55,000 price tag. 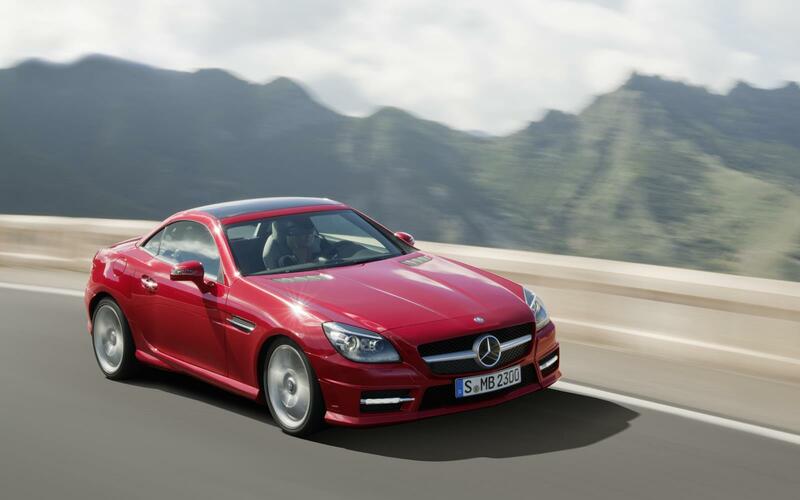 Instead I’m driving the mid-range SLK 250 that makes do with a 1.8-litre petrol engine and ‘just’ 201bhp. That’s still enough to propel the car from standstill to sixty miles per hour in 6.6 seconds, and you’ll be able to think of the £15,000 saving you’ll be making for giving up two seconds to the V8. There’s no doubting that you’re not short of outright pace in the SLK but, somehow, it feels merely adequate rather than exciting. The seven-speed automatic gearbox fitted to the test car possibly took the hard edge off performance, the car rarely knowing what gear it needed to be in and reacting very slowly when asked to drop a gear using the steering-wheel mounted paddles. 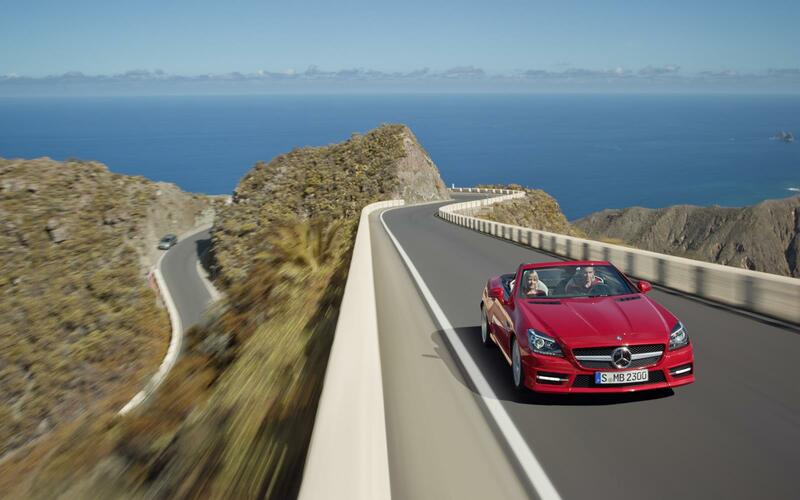 The same sense of adequacy shows itself again when you point the SLK towards a series of corners. Again, there’s no shortage of grip and it’s finely balanced, but it just doesn’t engage in the way that you would expect a sports car to do so. The steering doesn’t offer any feedback either, leaving you feeling like you’re riding along with the car rather than being a part of the experience. 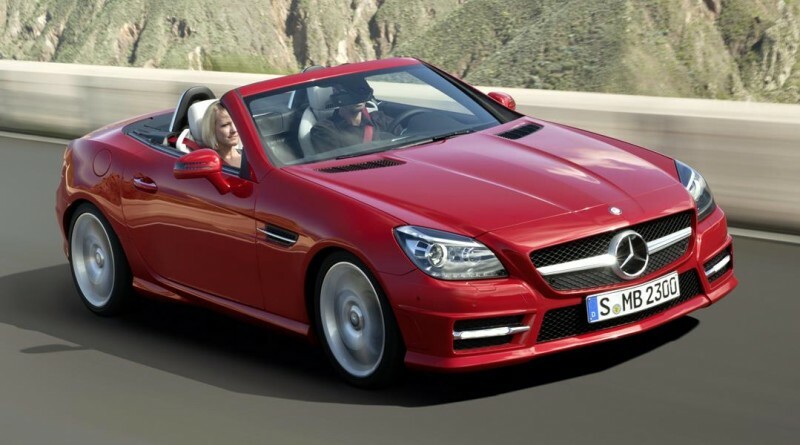 If that sounds rather disappointing then don’t worry too much; the SLK has another trick up its sleeve. While it may fall short of being a really rewarding, it does ride remarkably well. 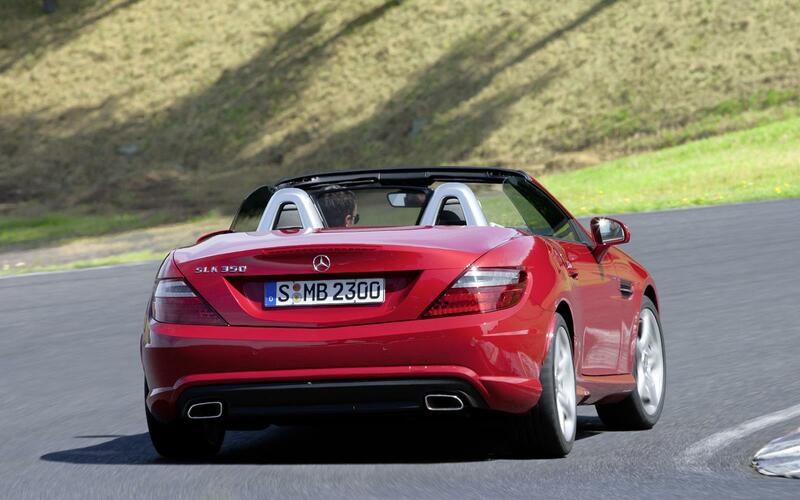 Realign your expectations from sporting to touring and the SLK starts fighting its corner as it isolates its passengers from the worst that British roads can throw at it. Cruise the motorway and the suspension glides over longer undulations while nicely smoothing the surface cracks and expansion joints. 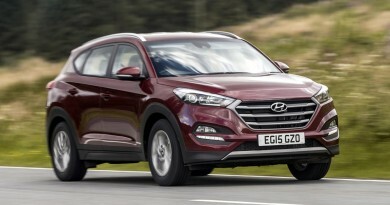 Eschew the tempting option of the manual gearbox and the lazy automatic will shift ratios almost imperceptibly as you make your way along the A14. 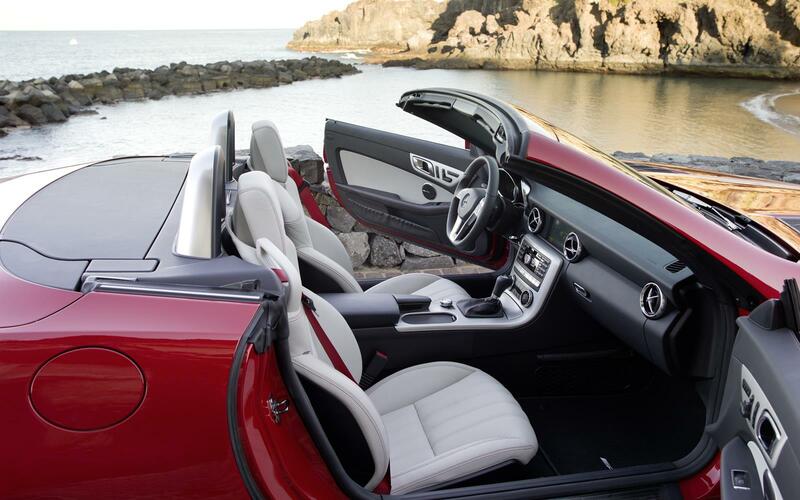 You’ll be doing it all in style too, making the SLK a rather tempting grand tourer. The fact that the car also promises to return 42.8 miles per gallon means it won’t hurt your wallet too much either. If you’re really after a frugal variant that retains the same style, there’s a diesel-powered option that manages more than 50mpg. There are more overtly sporting roadsters out there, but few of them can match the SLK’s refinement and style, or turn quite as many heads. 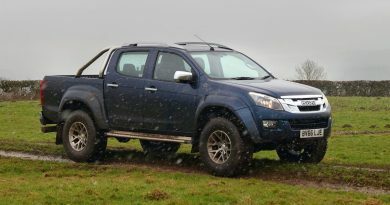 The new model has a lot to live up to and, when you take in to account discounts of up to £10,000 available off this older one, it might not manage it.